You may have read “The Prince and the Pauper”, a famous book by an American writer Mark Twain. The Prince it tells about was born in 1537 and became the King of England in 1547. Henry VIII died when his son Edward was but a boy. Before his death he made a will, appointing a council of sixteen to govern the king­dom for his son while he was under age, and another council of twelve to help them. Edward’s uncle, the Earl of Hertford, became the most powerful person in the realm. That was quite an ambitious man, who used his new position to advance and enrich himself. Very soon he made himself Duke of Somerset, while his brother, Edward Seymour, became a baron. The new Duke of Somerset enlarged his estate out of the Church lands and soon made the state council proclaim him Protector of the kingdom. Thus he became the King, though the king who had never been crowned. Edward VI was to submit to his uncle’s will. As the young sovereign had been brought up in the principles of the Protestant religion, everybody knew that these principles would be maintained in his reign. Archbishop Cranmer was greatly interested in their promotion and did his best to advance them. And the Protestant religion was really making progress. The decorum of churches became modest, there were no images that people came to worship in them. The believers did not have to confess themselves to priests. The prayers were translated from Latin into English for every­body to understand them. The first English Prayer Book was published in 1549. Church services were also held in English. Cranmer was quite a moderate man, and he was objecting against abusing the unreformed religion by the Protestant clergy. Still, the law was passed permitting to burn those who dared not to believe they were forced to believe by the Government. However, not a single Catholic was burnt in England in the reign of King Edward VI. Cranmer Archbishop of Canterbury and Ridley Bishop of London were the most powerful clergymen of his reign. The priests were severely punished for still adhering to the unreformed religion, Gardiner Bishop of Winchester, Heath Bishop of Worcester, Day Bishop of Chichester being among them. In fact, the young King was the supporter of the reformed religion, and the only person in his kingdom for whom the Catholic Mass was allowed to be performed was his elder sister Mary. That Princess hated the reformed religion and even refused to listen or read about it. The King made this exception for her not for love, but for the strong persuasions of his advisers Cranmer and Ridley. Edward was but a child when his uncle the Protector decided to marry him to Mary Queen of Scots. That marriage would be favourable for England as it could prevent the Queen of Scotland from making an alliance with any foreign power. The Protector’s dream did not come true, as many powerful lords in Scotland objected the project. The Duke of Somerset, the Protector, grew extremely angry against the stupid Scots, and decided to teach them a lesson by invading that country. His excuse for doing so was that the Border men — that is, the Scotch who lived in that part of the country where England and Scotland joined — troubled the English very much. But there were two sides to this question, for the English Border men troubled the Scotch too; and, through many long years, there were perpetual border quarrels which gave rise to numbers of old tales and songs. The two armies encountered on the banks of the river Esk, within a few miles of Edinburgh. The Scottish army was twice as large as the English, and at first it seemed to be victorious. The English lost some two hundred men and were greatly enraged. Finally, they undertook so fierce a charge that the enemy’s army fled, while more than ten thousand of the Scottish soldiers were killed in that battle, which is generally known as the battle of Pinkey. The Protector’s success made many noblemen envy him. Those who had been his friends turned out to be his enemies. The Duke of Somerset had to be very careful not to loose his power. He might continue his war campaign in Scotland and achieve even greater success, but something made him return back to London. He might have been informed that his brother, Lord Seymour, was becoming dangerous to him. This lord was now High Admiral of England, a very handsome man, and a great favourite with the Court ladies — even with the young Princess Elizabeth. Seymour had married Catherine Parr, the late King’s widow, who was now dead, and, to strengthen his power, he Secretly supplied the young King with money. Seymour’s influence upon the young King was growing rapidly. Soon after Somerset’s return that brilliant lord was accused of high treason. It was said that he was engaged with some of his brother’s enemies in a plot to carry Edward VI off. So Lord Seymour was confined in the Tower, impeached, and found guilty. He was sentenced to death, and his own merciless brother was the first to sign to the warrant for his execution. Seymour denied his treason and even tried to pass letters to the Princess Elizabeth and the Princess Mary to urge these ladies against his brother. But nothing could help that ambitious man, as his still more ambitious brother decided to get rid of him. He was executed on Tower Hill. The Duke of Somerset was a cruel man, and the epoch itself was a cruel one, too. People were in great distress then. Poverty was a great social problem England faced with. The population was growing, while jobs and food were often short. 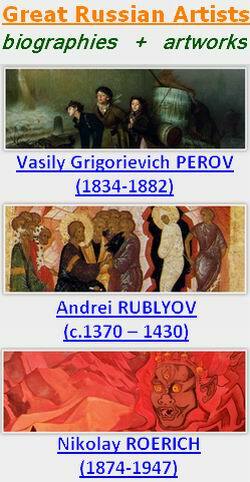 The monasteries, which had often helped poor people, had been destroyed. The monks might have been idle, but still they had been keeping hospitals for the sick and almhouses for those who needed shelter, providing an opportunity for the poor to end their lives peacefully. Monasteries having ceased to exist, wandering beggars appeared, who were blamed for any trouble. There were some weak attempts to organize charity institutions in towns, and rich people often did a lot for local paupers. But most towns forced the wandering beggars to leave to become somebody else’s problem. In 1547 the Parliament passed a very severe law stating that beggars were to be made slaves, burnt with a hot iron and wear an iron fetter. Luckily, that law was not put into practice. It was hard to be a beggar, but the life of working people was also full of difficulties. Landlords were enclosing great territories for feeding of sheep, depriving the villagers of the common land. That caused the general distress among the peasants that resulted in a set of rebellions. The people, who still understood little of what was going on about them, and still readily believed what the homeless monks told them — many of whom had been their good friends in their better days — took it into their heads that all this was owing to the reformed religion, and therefore rose in many parts of the country. The most powerful risings were in Devonshire and Norfolk. In Devonshire, the rebellion was so strong that ten thousand men united within a few days, and even besieged Exeter. The citizens tried to defend the town, but they could do little to stop the outraged mob. But Lord Russell, coming to the assistance of the citizens, defeated the rebels. The results were desperate: four thousand of the rebels are supposed to have fallen in that one county, either killed by the sword or hanged. In June 1549 another rising began in Norfolk. It was headed by a tanner, Robert Ket by name. It was the rising more against the enclosure of open lands than against the reformed religion. The rebels worked out the charter of 29 articles, its principal demand being to stop the enclosures. Then the peasants marched to Noridge, and besieged the town. Poor town folk assisted them in capturing Noridge. The Government had to send soldiers under the Earl of Warwick against that peasant army. To avoid bloody repressions a herald was sent to Robert Ket to proclaim him and all his men traitors unless from that moment they dispersed and went home. The rebels ignored the herald’s message and lost the possibility to receive a pardon. Very soon the Earl of Warwick’s army cut them all to pieces. The ringleaders were put to death in the most terrible way: they were hanged, drawn and quartered, and their hands and legs were sent all over the country to be a terror to the people and prevent them from new riots. The earl of Warwick was regarded as the savior of the realm and became much more influential. He decided to do the best of his success in Norfolk and started to plot against the Protector, who was building a new palace at that time. The Duke of Somerset blew up church steeples with gunpowder to get the stone for it, and that made him still more disliked. The Earl of Warwick joined with seven members of the State Council against the Protector, formed a separate Council, and sent Somerset to the Tower under twenty-nine articles of accusation. However, after being sentenced by the Council to the forfeiture of all his offices and lands, he was liberated and pardoned, on making a very humble submission. He was even taken back into the Council again, and married his daughter, Lady Anne Seymour, to Warwick’s eldest son. But such a reconciliation was little likely to last, and did not outlive a year. Warwick, having got himself made Duke of Northumberland, and having advanced the more important of his friends, then finished the history by causing the Duke of Somerset to be arrested for treason, accusing him of having conspired to seize and dethrone the King. He was also accused of having intended to murder the new Duke of Northumberland, and to raise the City to revolt. The fallen Protector was ordered to be beheaded on Tower Hill, at eight o’clock in the morning. The execution was to take place secretly, as the Duke of Northumberland’s party was not sure in the way the people of London would react upon it. On the eve of the execution, proclamations were issued bidding the citizens keep at home until after ten. They filled the streets, however, and crowded the place of execution as soon as it was light; and, with sad faces and sad hearts, saw the once powerful Protector ascend the scaffold to lay his head upon the dreadful block. The Duke of Somerset was a brave man, and he died a manly death, and when the head of the King’s uncle fell down, the bystanders rushed forward and steeped their handkerchiefs in his blood, as a mark of their affection. He had, indeed, been capable of many good acts. It was difficult to be healthy in the 16th century, even for the King. Deseases were often killers and spread rapidly, while doctors were generally helpless and used to treat their patients by bleeding, or giving them purges and some medicines made from herbs that only sometimes did well. So it is nothing to be surprized with when, after having had first the measles and then the small-pox, the young King, who was only fourteen years of age then, fell in a poor state of health. All the great lords were troubled by his sickly condition, as Edward rapidly got worse. Everybody knew that his sister Mary was the next to the throne. It was clear that if Edward VI died and she succeeded, the Roman Catholic religion would be set up again in England. The perspective troubled the minds of those who showed themselves to be good Protestants in the reign of Edward VI, for if the Princess Mary came to the throne they were sure to be disgraced. It was very important for them to make a Protestant monarch inherit the English crown. The Duke of Northumberland appealed to the Duchess of Suffolk, “who was a descendant from King Henry VII, and, hence, could be regarded as a heir to the throne, too. But the Duchess resigned her right in favour of her daughter Lady Jane Grey. Probably, the Duke of Northumberland had the King’s consent for her becoming Queen instead of Catholic Mary. Northumberland showed himself an adamant supporter of the idea, as one of his sons, Lord Guilford Dudley, was married to that noble lady. The covetous Duke tried his best to persuade the dying King to set aside both his sisters, the Princess Mary and the Princess Elizabeth, and appoint Lady Jane Grey his successor. And Edward firmly expressed his will to make her succeed to the crown after his death in a document he handed to the Crown lawyers. These gentlemen were much against it at first, but the Duke of Northumberland made them agree to it. But all the attempts to set aside the Catholic heir to the throne failed. Lady Jane Grey was Queen only for nine days. Then the legal heir, the Princess Mary, who won the support of most people, took the crown. 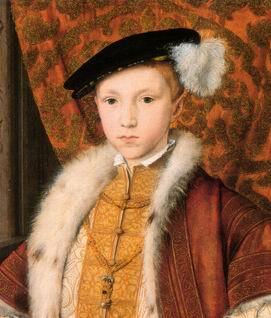 It may seem Edward VI was too young to influence the events. He was a clever, serious boy, and was educated carefully to become a ruler, and what is more, he was an amiable person, and there was nothing coarse or cruel in his disposition. It is said that while his uncle lay in prison under sentence of death, the young King entertained himself by plays and dances; there is no doubt of it, for he kept a journal. However, it is more pleasant to know that not a single Roman Catholic was burnt in this reign for holding that religion. He might well grow up a great monarch and stop the religious conflicts in his realm. Unfortunately, he died when a boy, and his country was once more seized by a political chaos.